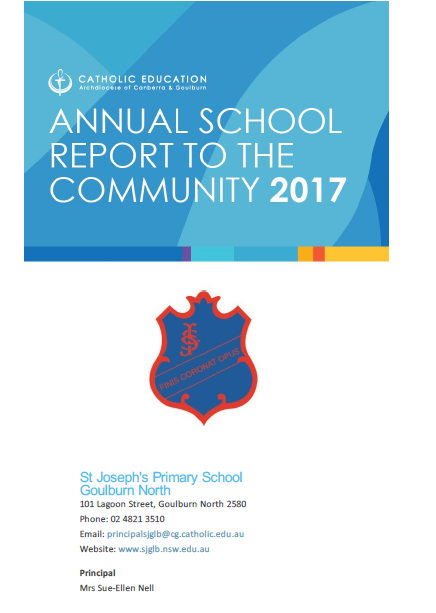 We, the students, parents, staff and friends of St Joseph’s Primary School, are committed to providing a compassionate, receptive and non-threatening atmosphere for each and every one of our pupils to learn and succeed in. We have a “zero-tolerance” policy against bullying, meaning that bullying of any sort is deemed completely unacceptable in our school community. If bullying does occur, students should be assured of the fact that all incidents will be addressed quickly, thoroughly and effectively. We also expect that anyone – whether student, educator, family member or other school party – who witnesses or has other knowledge of an incident of bullying will report the incident to a staff member immediately and with the promise of confidentiality if desired. Bullying can be generally defined as the repeated use of aggression, intimidation and/or cruelty with the deliberate intent of hurting another person verbally, physically or emotionally. Bullying carries the ramification of causing pain and stress to the victim. Bullying is never justified and is not excusable as “kids being kids,” “just teasing” or any other rationalization. The victim is never “responsible” for being a target of bullying. EMOTIONAL: Being deliberately unkind, shunning, excluding, or tormenting. Examples: Forcing another student to be “left out” of a game or activity, passing notes making fun of a victim, or making threatening faces or gestures. PHYSICAL: Pushing, kicking, hitting, tripping, punching or using any other sort of violence against a victim. RACIST/INTOLERANT: Taunts, slurs and/or physical threats directed around a victim’s race, religion or ethnicity. Examples: making racial slurs, making unkind remarks about a student’s ethnic background. SEXUAL: Initiating and/or executing unwanted physical contact, making sexually threatening and/or abusive comments. Examples: Grabbing a victim’s body, using derogatory labels. VERBAL: Name-calling, ridiculing, using words to attack, threaten or insult. Examples: Spreading rumours, making fun of a student’s appearance, mannerisms or intelligence. Please note that an instance of bullying may fall into more than one “category” listed above. Why Are Bullying Awareness and Prevention So Important? Bullying plays a major role in many occurrences of school violence. Students who bully have been proven to have a much greater chance of becoming violent later in life, and some victims of bullying turn to violent outbursts as a “last resort” to escape their torment. Bullying has also been linked to a large percentage of teen suicides, and can leave victims with emotional and physical scars well into adulthood. Besides that – put simply – bullying hurts, and no one deserves to be bullied. Respect, tolerance and safety are rights we expect and take for granted in our personal lives and workplaces. Schools should be no different. Students come to school to learn and grow. Bullying seriously damages and can even destroy that process. Adults have a responsibility to ensure that children are protected, and schools have an obligation to respond promptly and thoroughly to issues of bullying. Bullying will not be excused, permitted or tolerated under any circumstances. Not all victims of bullying reveal that they are suffering at school. Many feel that admitting how bad things have become will increase their torment at the hands of the perpetrators if they risk “dobbing,” are afraid no one will believe or support them or are too embarrassed to admit what is happening. Parents and teachers openly encourage students to report all incidents of bullying that are observed or experienced firsthand. Even in the event that a student is not forthcoming about being bullied, there may be signs or symptoms that suggest a problem. Parents and teachers should be aware of these symptoms and what they signify, and should investigate immediately. Gives unlikely/unconvincing excuses for any of the above behaviours. It should be noted that the above signs may indicate other problems, but bullying should promptly be considered a possibility and looked into. All bullying incidents will be reported immediately to a staff member. Staff member will record all reported bullying incidents on the standard incident report form and share them with the Principal or member of the school executive and the class teacher. The report will be sent to the Principal for filing in the appropriate folder. In the case of severe or persistent bullying the parents of both victim and perpetrator will be informed. The bullying behaviour or threats will be investigated quickly and fully, with both victim and perpetrator informed that the behaviour will/must stop immediately. The bullying perpetrator who continues to exhibit bullying behaviours will meet with a school counsellor, a designated staff member and (if they are willing to cooperate) his/her parents to understand the seriousness of his/her actions (to include placing themselves in the victim’s shoes to appreciate the undesirable effects of the behaviour), and to learn appropriate means of changing behaviour. The method of “restorative justice” will be used to assist the bully to realize the seriousness of his/her actions. The bully will be asked to genuinely apologize to the victim and/or, if the victim prefers, will sign a letter promising to avoid all future contact with the victim. In serious cases, suspension will be considered, with the victim fully informed of all options and actions. If feasible and if agreeable to the victim, both victim and bully will meet with a member of the school executive to discuss the problem and brainstorm ideas for reconciliation. After the incident has been thoroughly investigated and dealt with, teachers and the counsellor will monitor both students (including regular “check-ins”) to ensure that bullying does not resume or reoccur. Emphasizing repeatedly that bullying will not be tolerated at St Joseph’s Primary School.